The Raspberry Pi is a tiny single-board computer designed to help people learn programming. Despite its small size and deceptively simple design, it can be used for a range of tasks as diverse as emulating classic computer games or hosting your own online photo album. There are so many fun projects you can create with your Raspberry Pi that you might be wondering where to begin, especially if you're new to Raspberry Pi, coding and Linux, the free open source operating system that powers the Raspberry Pi. That's why we've put together this collection of Raspberry Pi projects, which will help you not only get started with the Raspberry Pi, but also inspire you to build fun Raspberry Pi projects, such as a home media server or even your own robot. Whichever Raspberry Pi distro you use, there’s a cool project here for you to try! Update: We show you how to create a voice-activated assistant with your Raspberry Pi, and how to use One Time Pad cryptography! Before you begin playing around with projects for your Raspberry Pi you'll need to do a bit of configuring, so follow these guides to get your Pi up and running. When you first unpack your Raspberry Pi you'll need to install an operating system, and the default choice for Raspberry Pi is Raspbian, which is a Linux-based OS. This means the easiest way of setting up a Raspberry Pi is through a desktop PC running Linux. Check out our guide how to set up your Raspberry Pi in Linux to find out how to do this. If your desktop PC doesn't run Linux don't worry, as it's also pretty straightforward to install it from Microsoft's more popular operating system – head over to how to set up your Raspberry Pi in Windows to find out more. The set-up process for the Raspberry Pi should be pretty painless, and you'll be able to get started on creating projects quickly. 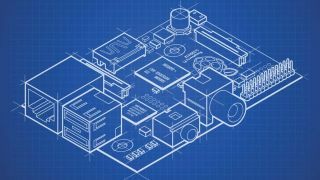 However, things do sometimes go wrong, so if the tiny PC isn't turning on when you first try to start it up, check out our article how to fix Raspberry Pi boot problems. There are other options for installing operating systems on the Raspberry Pi, and if you have the more recent Raspberry Pi 3 then you can install one of the most popular versions of Linux: Ubuntu. This will give your Raspberry Pi the flexibility of a desktop PC, all in its tiny and portable form factor. If you want to give it a try, read our how to install Ubuntu on Raspberry Pi guide.